Journalist Bernadette Hewitt, who co-authored Carl Hester’s just published autobiography, Making It Happen, reveals the story behind the story of the most successful British dressage rider in history. It was tousle-haired teenager I met at a party in the Cotswolds who would turn into “one of the world’s greatest ever equestrians.” You read book “blur” sometimes and wonder whether it’s hype or fact. 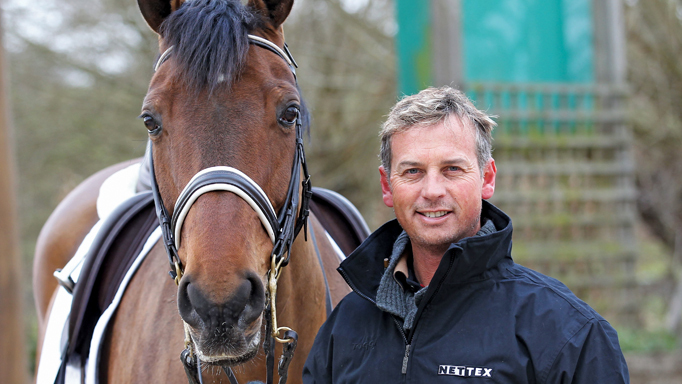 With Carl Hester it’s fact. It was a few weeks after that fateful party that I saw him on a horse – when I did, I realised I’d never seen anyone look more natural. 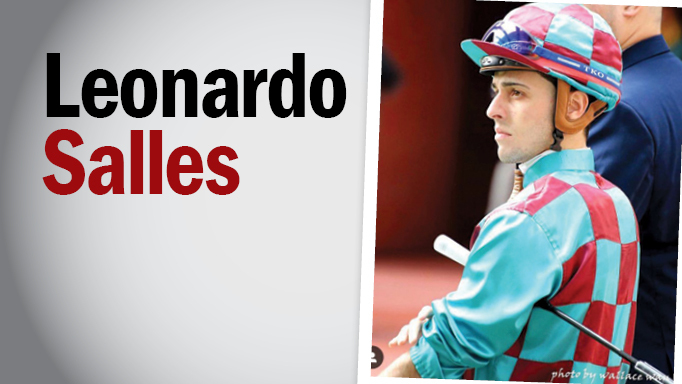 He broke his leg a few days later ruling him out of the Young Rider European Championships. That was years ago of course and the story I’ve helped Carl tell now is one of inspiration and dedication to horses. We decided when we embarked on this project that it would be the real story, not an anodyne chronological “what, when, where.” Even knowing Carl over all these years some of the things he talks about were revelatory: the effect of certain incidents, and the feelings those events elicited. Martin Clunes, the actor, TV personality and President of the British Horse Society said he was “shocked” to be asked to write the foreword. But on reading the story he said he realised it was an inspiration not only to top riders worldwide but to all riders because it’s a story about the love of horses. When talks started about the possibility of Carl doing an autobiography I was in the middle of law post-grad. It was kind of boring anyway, so when Carl said he’d do it, if I’d do it, we thought we’d go for it. It has been an amazing journey, just like Carl’s. Brought up on the tiny Channel Island of Sark, Carl first left for England to train for his British Horse Society professional qualifications at the Fortune Centre in Hampshire. He mostly did eventing there but he also rode a skewbald mare, Jolly Dolly, to win the 1985 Young Rider Dressage Championship, completely out of the blue. There are lots of influences throughout his life that Carl credits in the book, but it was one couple, Jannie and Christopher Taylor, who he thanks for helping him understand what a horseman should be. It’s an eccentric and often hilarious chapter in his life, primarily it’s all about eventing not dressage, but in the end it is about horsemanship. “We would often turn up at an event with a horse that had never been near a show jumping or cross-country course. We’d arrive at a novice event – which was the first level in those days as pre-novice had not yet been introduced – and the fences were bloody big. I think the height maximum was 3ft 7in, which is the fourth level up these days! But the horses were so well trained. Christopher, who had point-to-pointed and trained racehorses in the past, did all the hacking, riding them round the countryside and jumping the hunt fences. Jannie and I would do all the schooling, and the technical side of teaching them to be controlled to jump fences at related distances and bounces. Jannie’s joy in all of this, and in fact her motto, was “Whatever we paid for it in hundreds we have to sell it for in thousands.” So a cast-off racehorse secured at Ascot sales for £500 would sell for £5,000, or a punt taken on a tricky so-called unrideable horse at £1,000 would result in a sale for £10,000. That was big money in those days. Jannie sold Todd to Princess Anne and rode Smasher herself to win the Riding Horse title at the Horse of the Year Show. Looking back, it was incredible the knowledge of those two people and the passion that they had. It was a unique situation, farcical at times on the surface, so the choice was to soak it up and learn, or decide it wasn’t for you because of the rough and tough of it all (Jannie’s jokes as well as the unrideable horses). Personally, I loved it. When Carl got the job as rider for Dr Bechtolsheimer in 1989 he was quickly propelled into the spotlight and onto the British team. 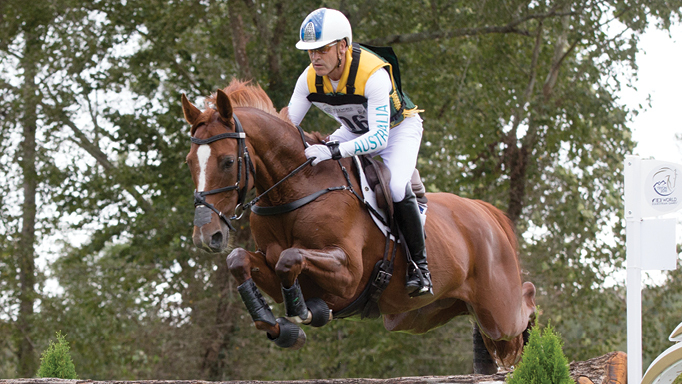 Under “Dr B’s” tutelage, Carl competed on the 1990 World Equestrian Games team, the 1991 European Championships and in 1992 in Barcelona, he was the youngest British rider ever to compete in an Olympic Games. However, it would be 12 years on before individual international success would come his way. When it came, it was on a horse he’d bought as a youngster in partnership with Roly Luard (how auspicious a linking that would turn out to be). Carl was the highest placed British rider in Athens with Escapado, AKA “Peanuts”. 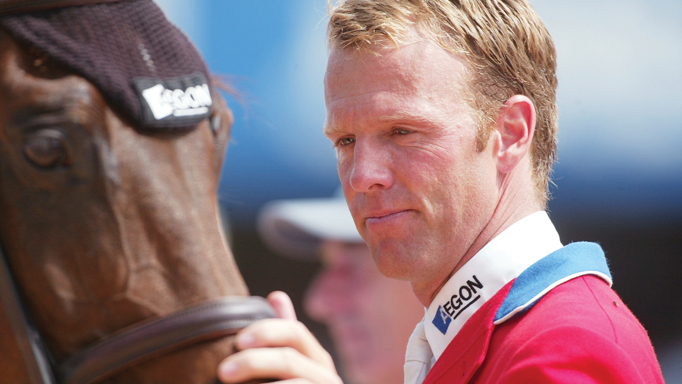 The following year in Hagen, at the Europeans, they wowed the crowd before Peanuts was sold to The Netherlands in order for Hans Peter Minderhoud to make his transition to Grand Prix. Peanuts came home to retire in 2011 and now lives just up the road from Carl with his former groom Caroline, hacking and generally enjoying the good life. A full circle. “For some reason back in 1998 I had said that I would give myself “ten to fifteen years to reach the top” and was quoted on it. It was the late Pegotty Henriques who’d told me “Stockholm made your name but the future will make your reputation”…. Sometimes it isn’t just about winning, nor is it about the best score. In Athens I felt that me and my horse had won. He was so shy and nervous by nature, but Peanuts did his best and that was the top of his game at the time. He’d come last at Aachen the month before, and to show up at the Olympics, score over 70 per cent all the way, finish best of British and thirteenth at the Olympics — that was a huge moment. That Olympics made him what he became. Then he came home and he performed out of his skin at the National Championships, which he won. He deserved national recognition and praise, and he got it. I was on one hell of an all-time high and those two fingers had been firmly stuck in the air at all the doubters. We’d also given Alan Smith, Jenny MacArthur and the other “dailies” something to write about at last. “The continuing success of British Dressage means capitalising on a lot of shining examples such as Charlotte’s ascent to stardom and the fact it wasn’t about coming from a moneyed background. I didn’t either. Inspiration is the key to the London 2012 legacy. Sport is demanding, we all know that. A horse doesn’t get to the top by feeding it apples and asking would it mind doing a Grand Prix or jumping a six-foot fence. We know that we are so lucky to be able to have horses to help us in our competition quest and that we also have to have fair training methods. Richard Davison and I came up with the idea of the Dressage Convention to encourage people to use horse-friendly methods but also to try and get the message over that we are all wanting the same end. It was subtitled “where training methods meet” and we invited a diverse panel with the aim of showing that it was all about inclusivity. And we had new methods of including people in the discussions via that new generation communications tool, Twitter. It was ground-breaking, yet it wasn’t rocket-science, just getting across the basic philosophy of horsemanship, irrespective of whether people are gold medal winners or not. Riding is one aspect of it, but in training horses need methods to follow that are understandable. We have to keep them, physically and mentally, in good environments, put them in the right spaces. They are all different – that’s what makes my life with horses so joyous to wake up to every morning – but it means that you have to develop a relationship of trust and mutual respect with each individual horse. If there is one person that reflects and promotes that message it is Carl. There is no sycophancy involved here. In all the years I have only ever seen him work to find a key to a horse, never lose his temper and never give up. The horses are all individuals, from Tomato who went off to be a wonderful hunter to the multi-champion Valegro. Then there’s Charlotte. One of the questions I’m asked most is why Carl let his protégée take the individual honors on this amazing horse that he part-owns with Roly. Well, the answer is for him but it is in his nature, in the sort of person he is. It’s why he gave up his job with the Bechtolsheimers in order to concentrate on teaching. It’s great to have the opportunity to say how proud I am of that tousled-haired lad who often frightened the judges, never the horses, when a different color or style of hair would emerge from under his top hat. A lot of fun, a lot of tough stuff, a big journey from that little Channel Island of Sark to being one of the best, and I’m so glad I could help put his voice into words. Andrew Hoy has his sights set on the 2020 Olympic Games. 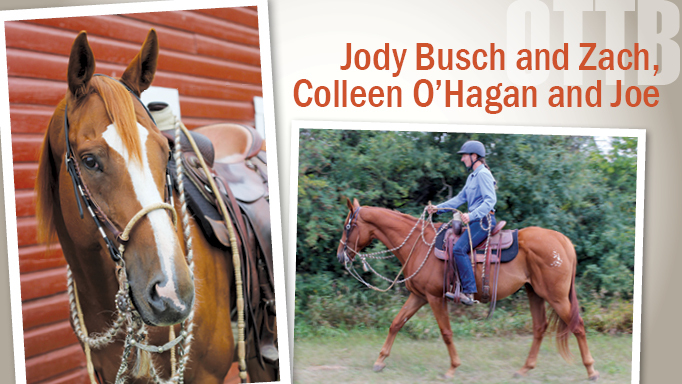 Jody Busch and Zach & Colleen O’Hagan and Joe are Makeover bound.